laminated glass cutting table Equipped with two cutters (upper & bottom sides), SWD-3826 is designed to cut thick float glass and laminated glass. It has advantages of easy operation, stable working and high precision. 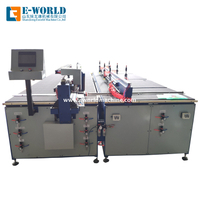 laminated glass cutting Machine body adopts welded tube which makes whole machine very stable. Application of synchronous belt convey system, PLC control system, imported electrical spare parts, stepping motor and LCD makes it much convenient and stable. Upper & bottom cutter can work at same time, which ensures high conformity and easy breaking after cutting. Handle with care, no collision ! Guide rails and beams are forbidden to support during lifting. 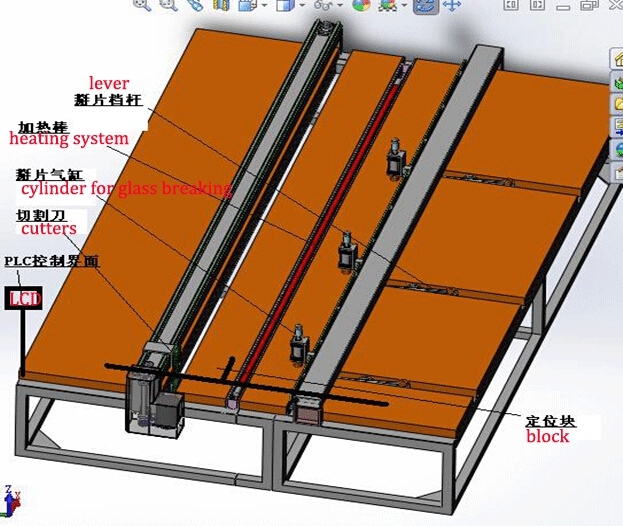 Horizontal ruler can be used to revise worktable, and table bracket can be adjusted to ensure flatness.